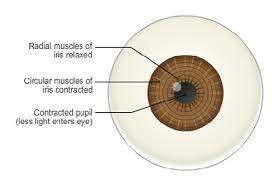 These muscles control the iris, and incase you've forgotten, the iris controls how much light is let into the pupil. The two muscles work antagonistically, meaning that when one constricts the other relaxes and when one relaxes the other constricts. What happens in low light concentrations (dark)? The pupil will widen when it is dark, allowing more light into the eye. The radial muscle fibres constrict, widening the eye and the circular muscle relaxes due to the constriction of the radial muscle. 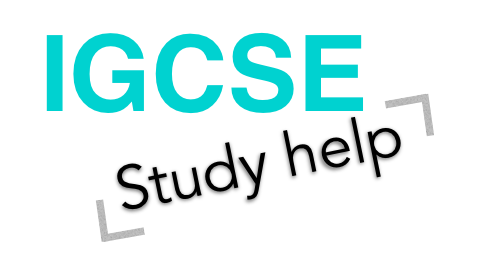 What happens in high light concentrations (light)? The pupil will narrow when its light, allowing less light into the eye. The circular muscle fibres constrict, reducing the pupil size and the radial muscle relaxes due to the constriction of the circular muscle. Please note that this is a reflex. Read about RODS AND CONES next!